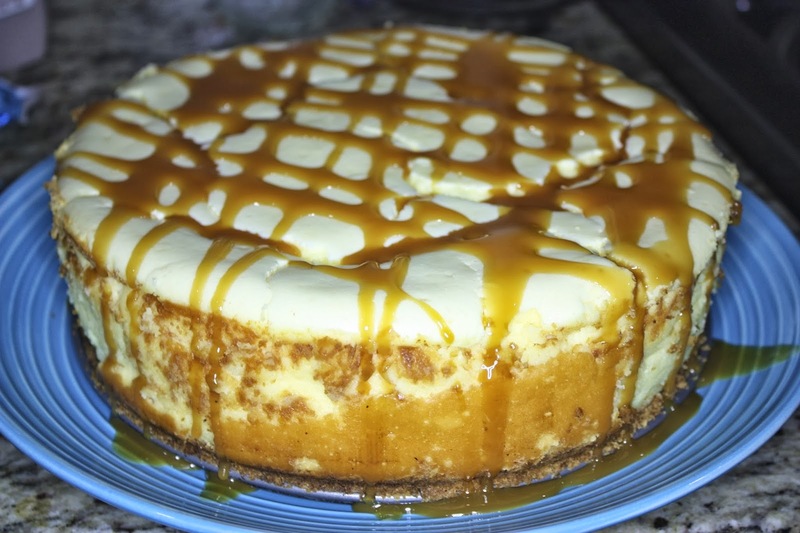 I made a cheesecake for my sisters birthday, and in searching for a really smooth, thick and rich cheesecake recipe I basically took elements that I liked from several and created this one. 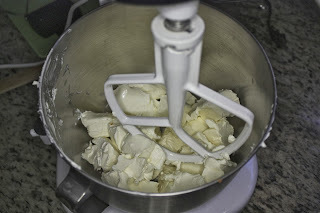 Most of my inspiration came from this link however (Recipe). 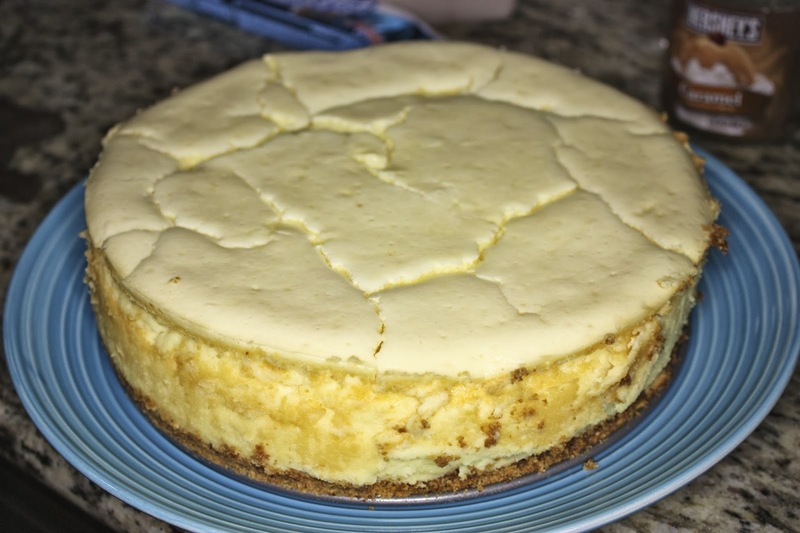 I really like a super thick New York style cheesecake, but I also really like a thin crunchy graham cracker crust, so I couldn't resist adding one. I also learned a really neat trick to caramelize the sides of the cheesecake to create a nice crust all the way up the sides that will be everyones favorite part. 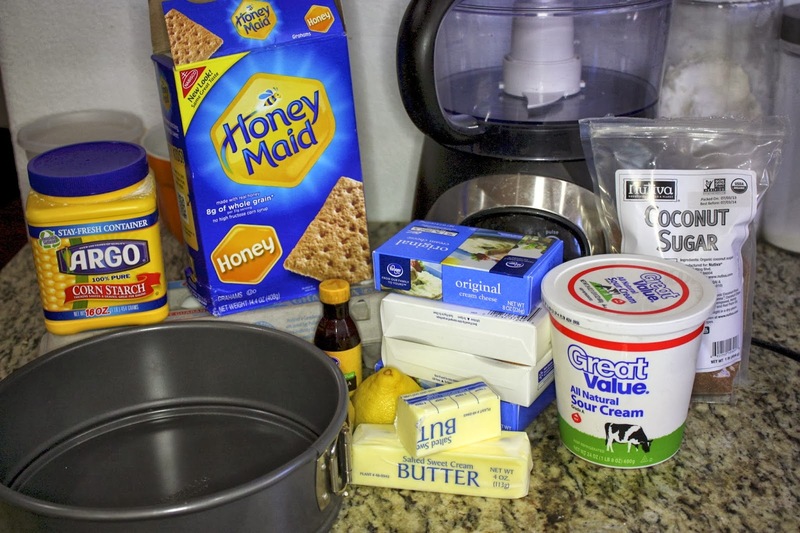 The most important step about this cheesecake is making sure that your ingredients have fully come to room temperature. 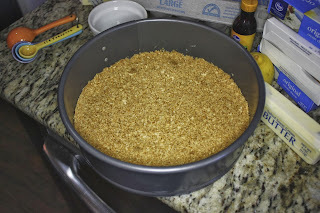 If planning on making it in the morning let your ingredients set out all night, and if making in the afternoon put them out first thing in the morning. You will have nasty lumpy cream cheese unless it sits out for HOURS. Don't worry, nothing will go bad sitting on the counter for half a day, I mean, how do you think they make yogurt? 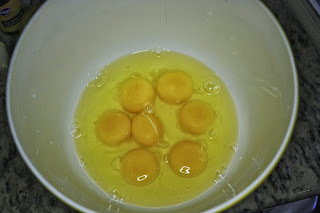 In many countries eggs are never even refrigerated, and are found sitting in the same section as the fruits and veggies at the grocery store, I've seen it with my own eyes. 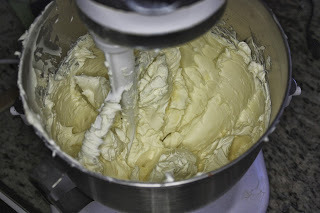 Some people keep their butter out on the counter in the butter dish 24/7 and never have an issue, so please do not be concerned, everything is packaged and wrapped. 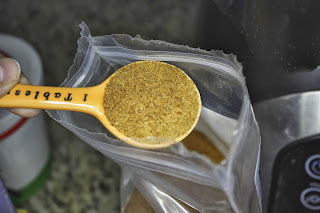 2 tablespoons sugar, I am using coconut sugar for the crust, because of its rich caramel flavor and not being too sweet. For the crust: Adjust an oven rack to the middle position and heat the oven to 325°. 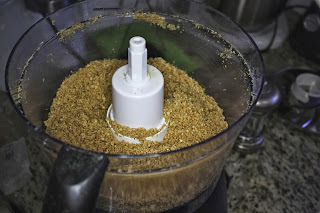 Process the graham cracker pieces in a food processor to fine, even crumbs, about 30 seconds. 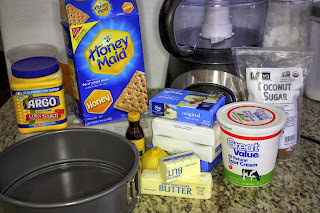 Sprinkle the melted butter and sugar over the crumbs and pulse to incorporate. Sprinkle the mixture into a 9-inch springform pan. Press the crumbs firmly into an even layer using the bottom of a measuring cup. Bake the crust until fragrant and beginning to brown, 10 to 15 minutes. Let the crust cool to room temperature, about 30 minutes. In a mixing bowl, beat the cream cheese on LOW with the butter until smooth and creamy. 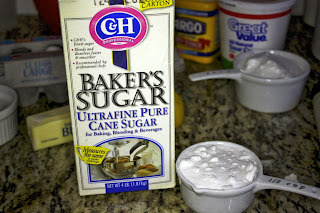 Beat in half the sugar and salt until incorporated, 1-3 minutes. 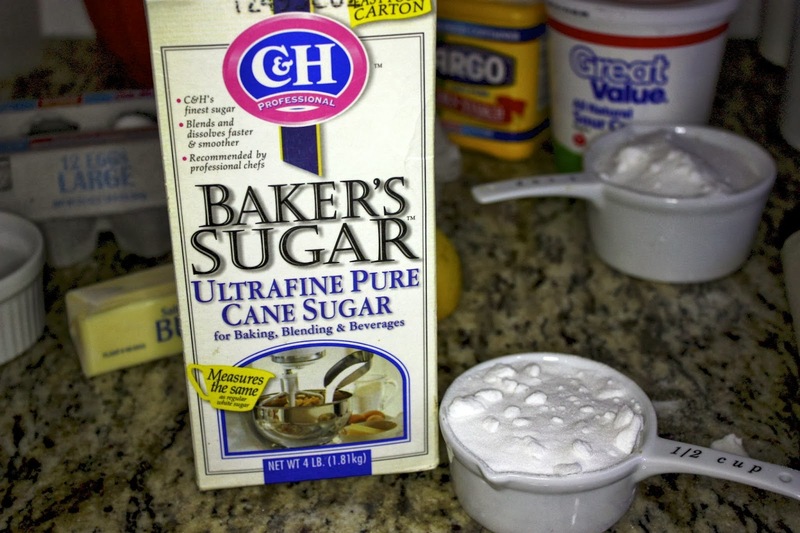 Beat in the remaining sugar until incorporated, 1-3 minutes. Beat in the sour cream, cornstarch, lemon juice and vanilla until incorporated, 1-3 minutes. 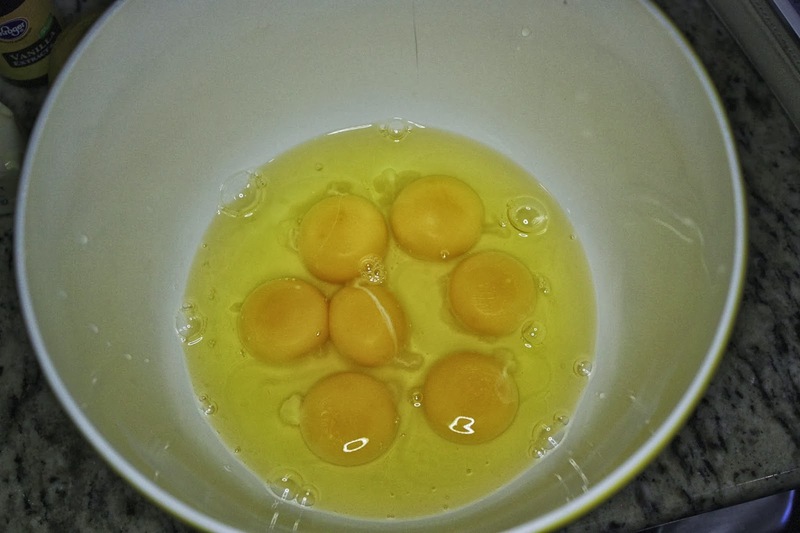 Beat in the egg yolks and eggs, two at a time until combined, 1-3 minutes. 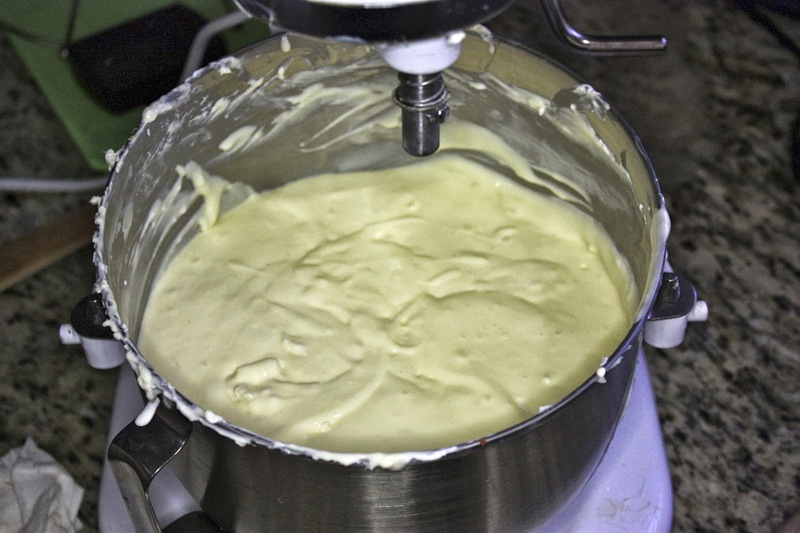 The mixture should be thick, creamy and completely incorporated. 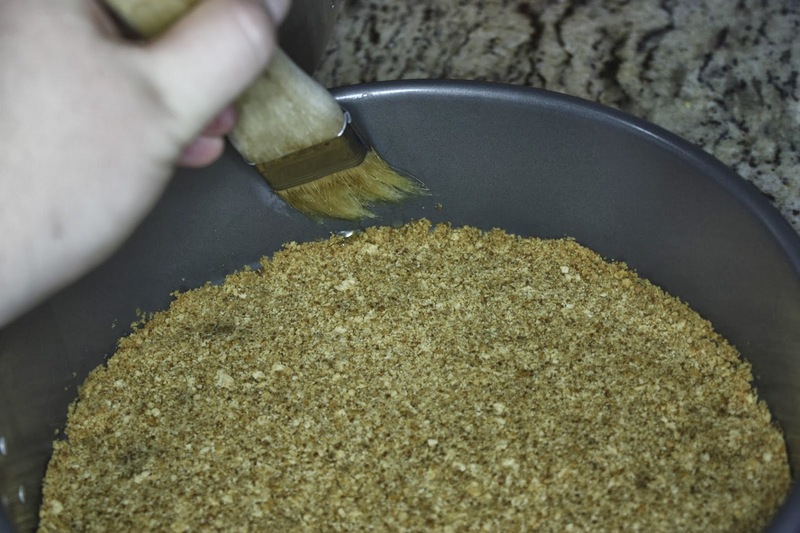 Being careful not to disturb the baked crust, brush the inside of the prepared springform pan with 1 tablespoon of melted butter. 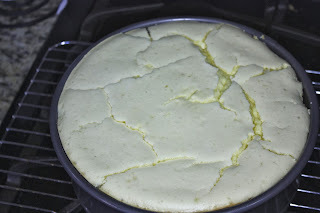 Set the pan on a rimmed baking sheet. 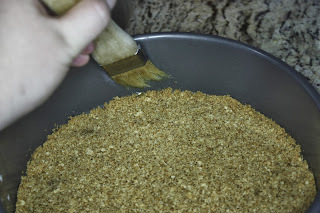 Carefully pour the filling into the pan. Bake the cheesecake for 10 minutes. 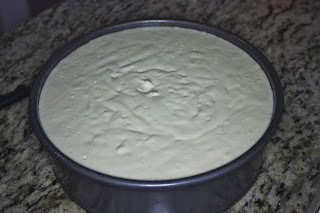 Bake the cheesecake for 10 minutes at 400 F then without opening the door, reduce the oven temperature to 200° and continue to bake the cheesecake until the center of the cake registers 150° (about 1 1/2 hours). 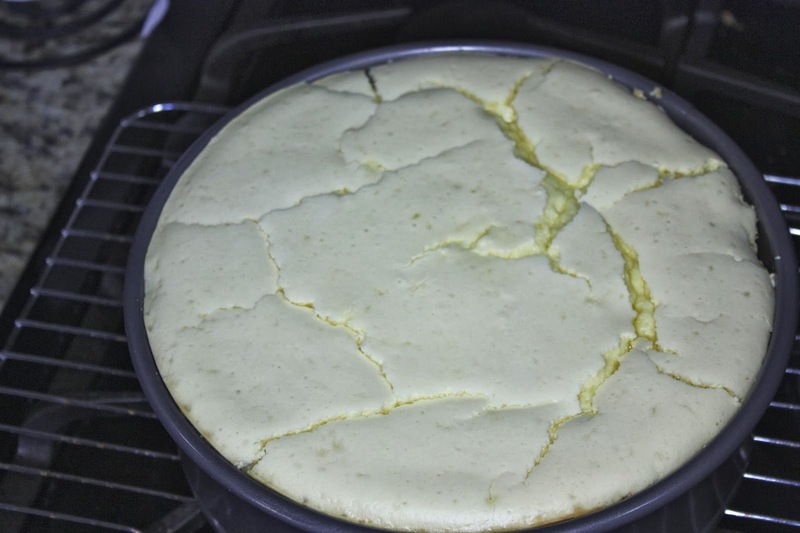 Now unfortunately for me I had some major cracking with this cheesecake, I believe this was due to the fact that I overfilled my springform pan, and when it began to warm up it expanded over the edge of the pan, causing it to crack, and also that my nephew was over and he kept opening the oven to look at it while baking, but I can't really blame him, he was excited. 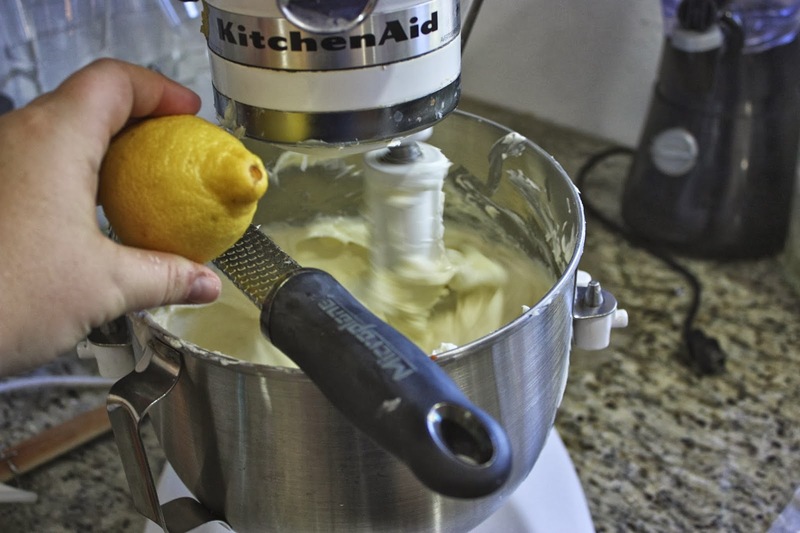 Transfer the cake to a wire rack and run a knife around the edge of the cake. Let stand at room temperature until completely cool, about 4 hours. Refrigerate, covered, until well chilled. 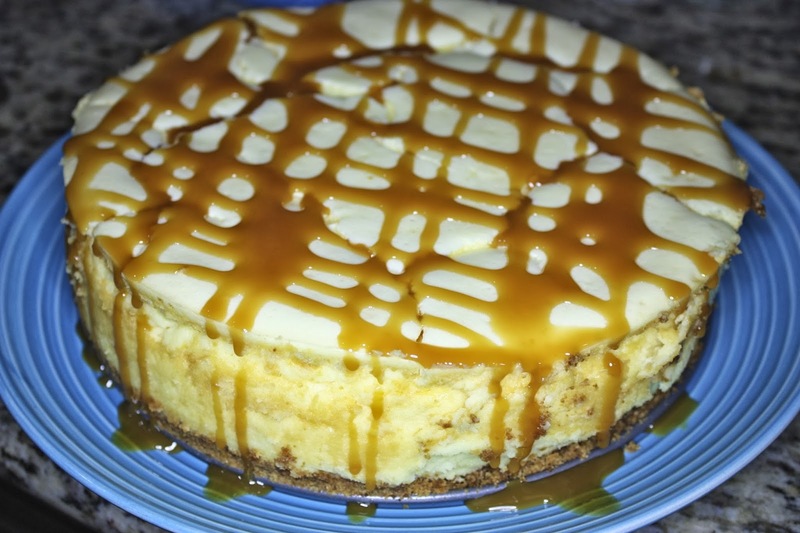 For best flavor and texture, this cheesecake is best chilled overnight. I drizzled with some carmel sauce to make it pretty and extra delish!